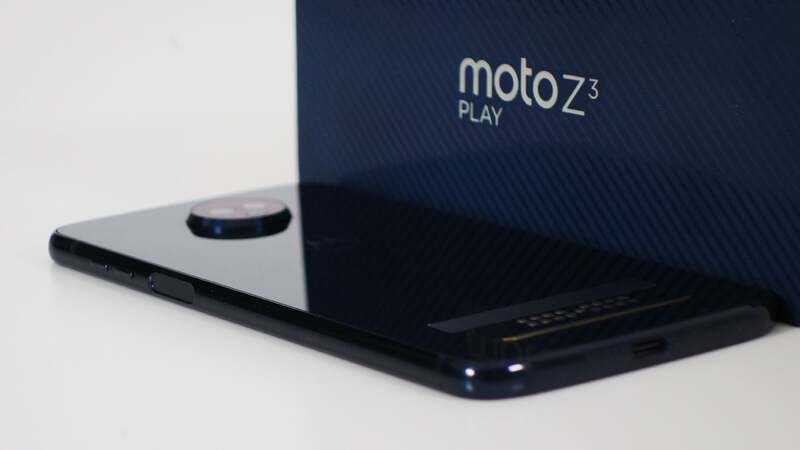 What is the Moto Z3 Play? In 2016, modular phones looked like they could be the future. Google was rumoured to be months away from launching Project Ara and you could buy a series of add-ons for LG’s G5 to improve functionality. Motorola, for its part, launched the Moto Z and Moto Z Play with Moto Mods to boost performance in a myriad of ways. Two years later and Motorola is the only one left fighting for modular phones with the Moto Z3 Play. 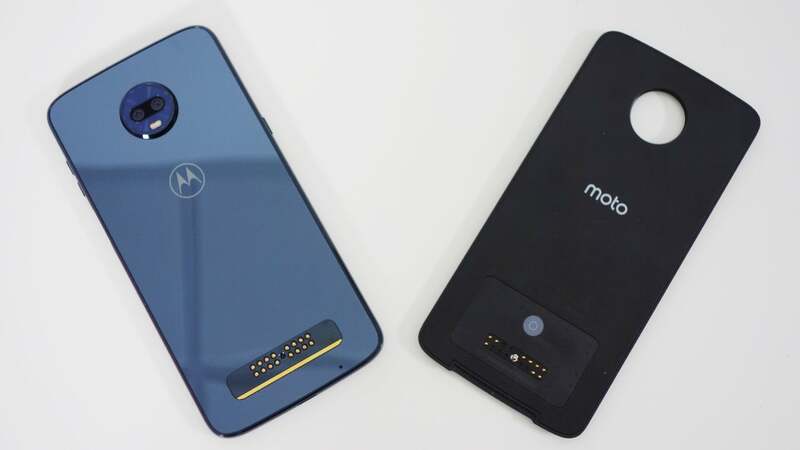 Moto Mod backplates can be clipped magnetically to the rear of a device to boost features, offering better camera performance, improved sound, longer battery life and even projector support. 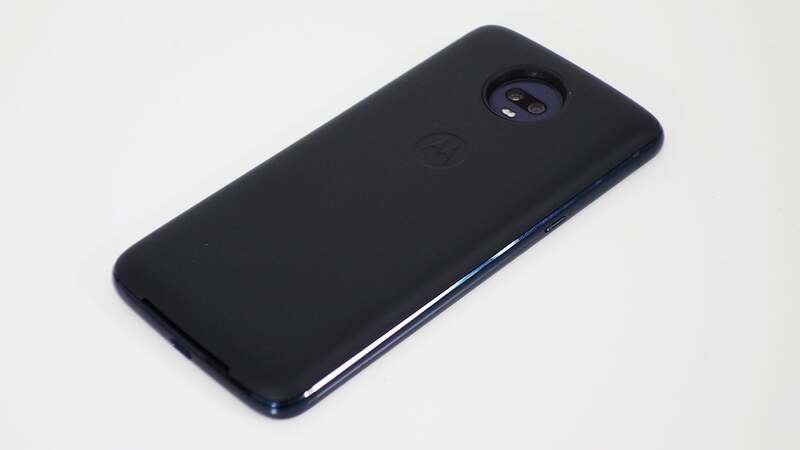 Unfortunately, the rest of the Moto Z3 Play package does less to stand out from the crowd, especially at the anticipated price point. It’s competent, but far from mind-blowing. Without the aforementioned Moto Mods attached, the Moto Z3 Play is a pretty handsome handset. The display dominates the front of the device, with a screen-to-body ratio of 79%. This results in fingerprint scanning confined to the right-hand side, which is slightly awkward – especially when the power button isn’t built-in as it is with Sony handsets of old. With a 6.01-inch display – fractionally bigger than the Pixel 2 XL and a whole half-inch on the iPhone 8 Plus – it may sound a touch on the chunky side, but in your hand, this isn’t the case. 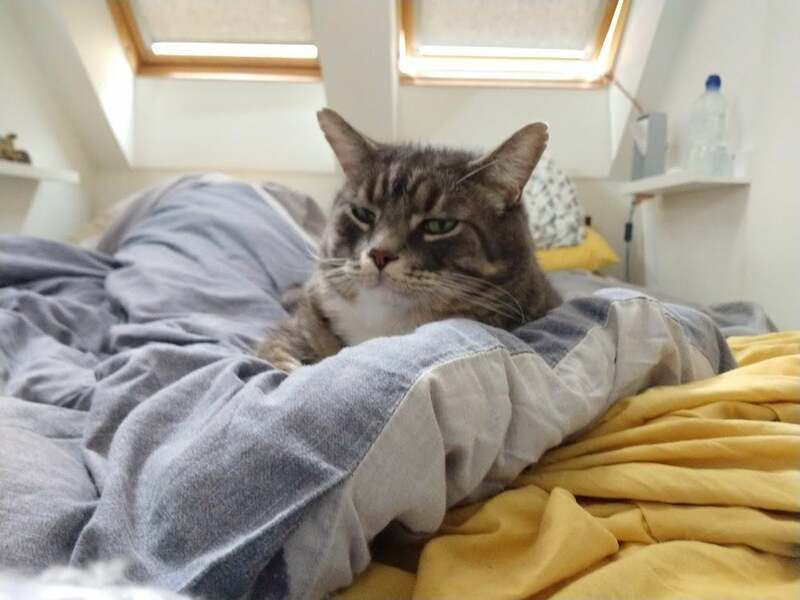 There are two reasons for this. Firstly, there’s that 18:9 aspect ratio display, it’s actually tall and thin. But more importantly, the phone itself measures just 6.75mm; it’s so narrow that it feels almost fragile in the hand. That feeling certainly isn’t helped by the slippery glass rear either, which is also a magnet for fingerprints. The good news is that tackle both these issues pretty easily. The same magnet-based system that lets you clip add-ons to your handset can also be used to attach backplates for grip. It’s a genuinely brilliant way of customising the Z3 Play and it’s a crying shame that a greater number of manufacturers haven’t taken a leaf out of Motorola’s book to offer the same – but more on that later. Given that the phone’s USP is being able to stick bits on the rear, slimming the phone down is understandable. However, there are drawbacks beyond sturdiness. First, the camera array protrudes significantly from the rear, meaning your phone will never sit flush on your desk. Second, the 3.5mm headphone jack is a casualty, although Motorola does the courtesy of including a USB-C adapter in the box – something Apple no longer does with the iPhone XS. On the bright side, the 64GB of internal storage can be easily expanded via microSD by up to 2TB, if your budget allows. The microSD tray also holds a SIM card – and you can add a second one if you like. 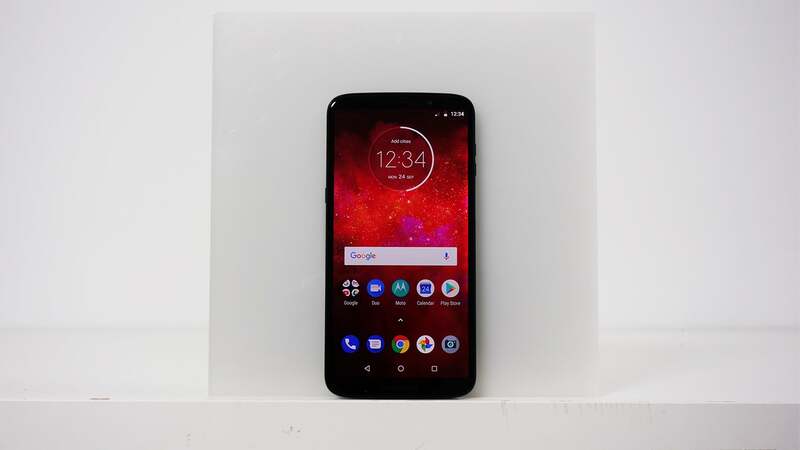 The Moto Z3 Play uses a Super AMOLED display. Contrast is perfect, and blacks are darker when compared to LCD-based models. Some will be disappointed by the FHD+ resolution, preferring QHD+ (2160 x 1080, thanks to the 18:9 ratio). In all honesty, 1080p is fine for a screen of this size, unless you’re planning on using it heavily for VR. What’s less impressive is the default ‘vibrant’ colour palette, which gives everything a searing, gaudy quality that proves more than a little unpleasant on the eyes. You can switch to a ‘natural colours’ setting, although this seems to go too far the other way, presenting pictures that feel a little washed out and dull. Not that this impacts its day-to-day utility. 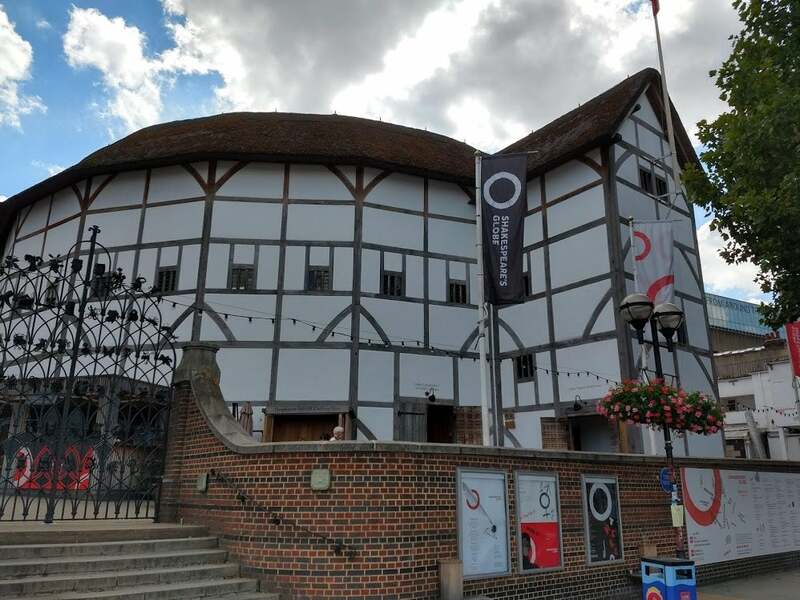 Viewing angles go beyond where it’s practical to see, and even in the bright sunshine of London’s summer heatwave, the screen has been perfectly viewable. It’s a serviceable panel, but not up there with the best of them. The Play versions of the Moto Z family have always been mid-range, and there’s no change here. Rather than Qualcomm’s latest and greatest, you’re treated to the middling Snapdragon 636 – star of mid-range stalwarts such as the Asus ZenFone 5. For day to day use, this is more than adequate. Performance feels suitably nippy, whether you’re jumping between apps or enjoying some gaming. The Z3 Play felt equally at home running the simple puzzler Dots as it was with EA’s intensive Real Racing 3. PUBG Mobile – probably the most popular demanding Android game of the moment – ran happily with settings set to ‘Medium.’ It isn’t completely future-proofed, in other words, but it should get you through the two years of a standard contract – especially if mobile gaming isn’t your main passion. Not surprisingly, given its incredibly thin frame sound quality isn’t great; it’s tinny and has a tendency to distort at higher volumes. However, if this is a problem for you, JBL has a pretty effective Moto Mod for that. In fact, let’s talk about the Moto Mods some more because in my opinion, they’re one of the best innovations in smartphones. 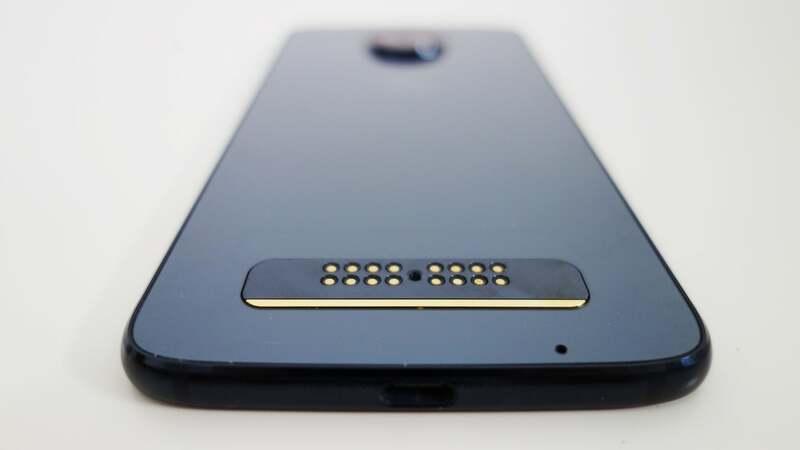 Moto Mods are add-ons that affix to the rear of Moto Z series handsets via magnets. Unlike the unconvincing implementation of mods with the LG G5, these can be clipped on and off at will, with no restart required. Want to take a shot with a 10x optical zoom? Attach the Hasselblad True Zoom Moto Mod. Want to play PUBG with dual analogue sticks? Plug in the Gamepad mod. Has all that gaming killed your battery? Whack in the Battery mod. It’s simple, brilliant, and a trend I’m certain would be a worldwide phenomenon if Apple, rather than Motorola, had introduced it. Of course, buying all of these would quickly run into hundreds of pounds, and carrying them with you everywhere would quickly negate their convenience – but that’s not really the point. 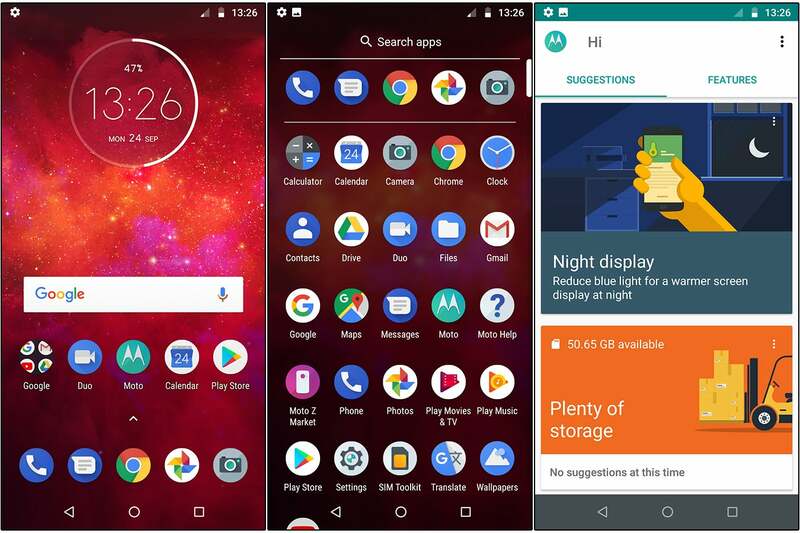 With this add-ons, Motorola is allowing you to adapt its devices to better suit your needs, and that’s definitely something worth celebrating. 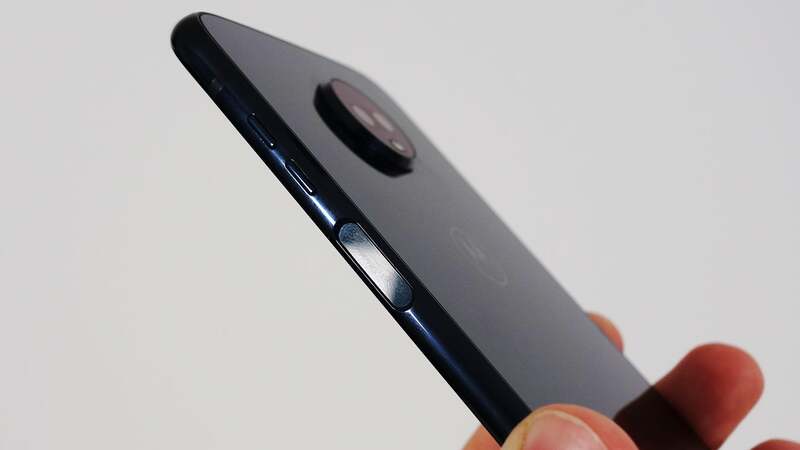 For how much longer Moto Mods will still be around is likely to be dependent on the success of this particular device – Motorola only committed to support for three generations, so this could well be the last. There’s no Moto Mod to boost the overall performance, and while the Z3 Play is fine for everyday use, there’s no denying that it’s a little off the pace when compared to the majority of 2018’s flagship devices. It landed an overall AnTuTu score of 110,069 (50,935 CPU, 21,211 GPU, 31,342 UK, 6581 MEM), while Geekbench produced a single-core score of 1321 and a multi-core score of 4553. 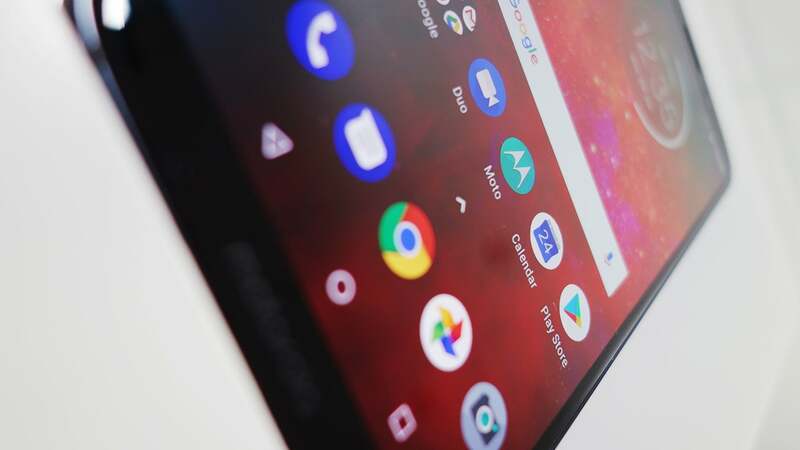 For the most part, the Moto Z3 Play offers a relatively untampered Android Oreo experience, and that’s a good thing. What’s been added feels like it’s there for the better, rather than including features for the sake of it. What’s more, you won’t find any additions ready to trip you up by default. 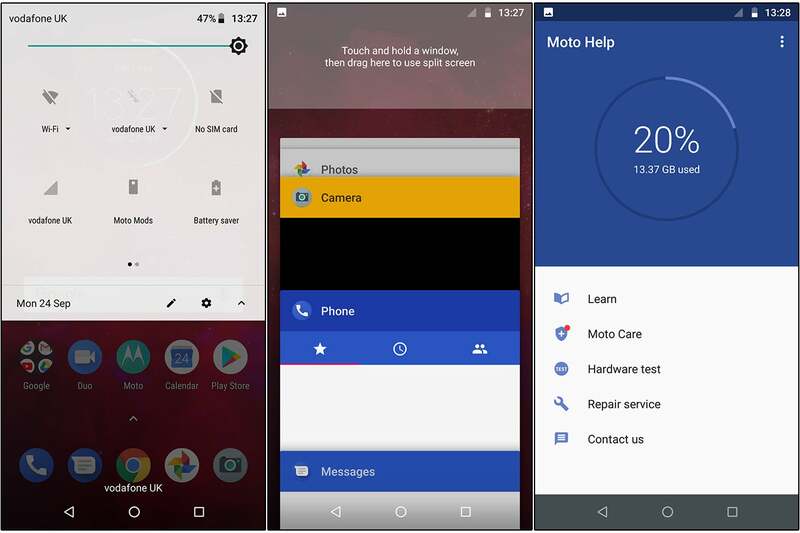 Motorola’s improvements to Android have to be turned on via the Moto app – they don’t even appear in the regular Android settings. They’re genuinely great, though. Things such as shaking the phone twice to turn on the flashlight; or using three fingers to immediately take a screenshot, saving you the digit-gymnastics Android usually requires. Selecting each one presents a user-friendly demonstration of how it works, and you’re guided through the process to ensure you’ve really got the hang of it. This is how Android should be. Aside from the Moto apps, everything else is Google, including the excellent Gboard with swipe-style typing from the get-go. And yes, the Moto Z3 Play does qualify for Android 9.0 Pie. 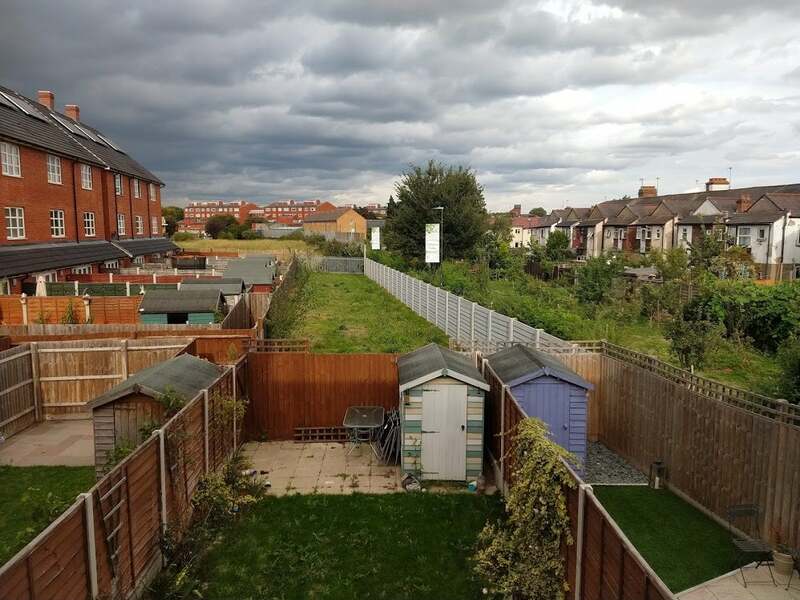 Given the price, camera performance in the Moto G6 range of phones was excellent. As such, you’d expect a decent standard from a device that’s further up the price ladder. Overall the Z3 Play camera delivers, without giving the photography titans of the Galaxy S9, Pixel 2 or P20 Pro too much to worry about. 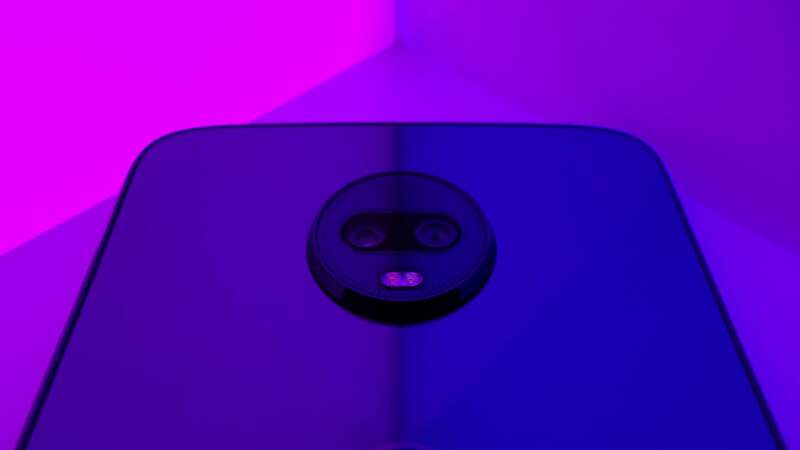 Under the right conditions, the Moto Z3 Play’s 12-megapixel f/1.7 aperture camera is capable of producing decent images. Photos are bright, punchy, colourful and packing plenty of detail. 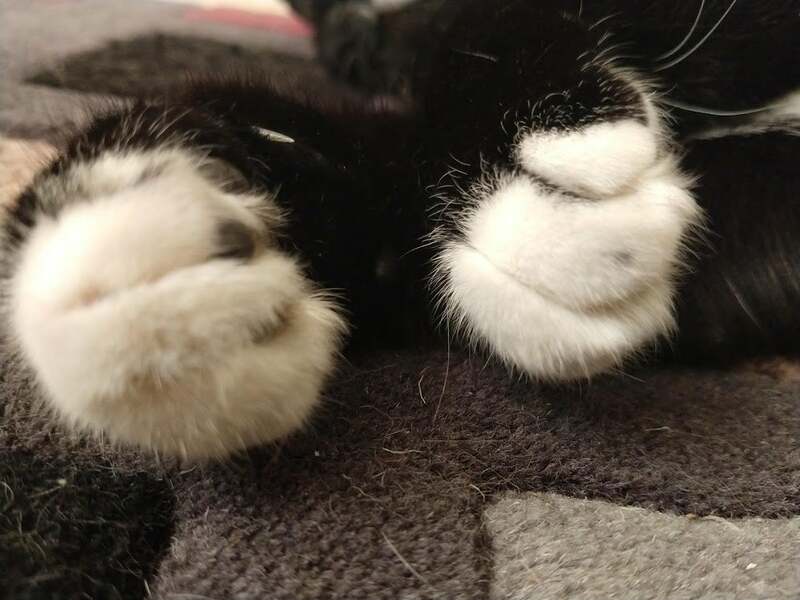 It’s even pretty good up-close, as the photo of Hamilton the cat’s paws below shows. 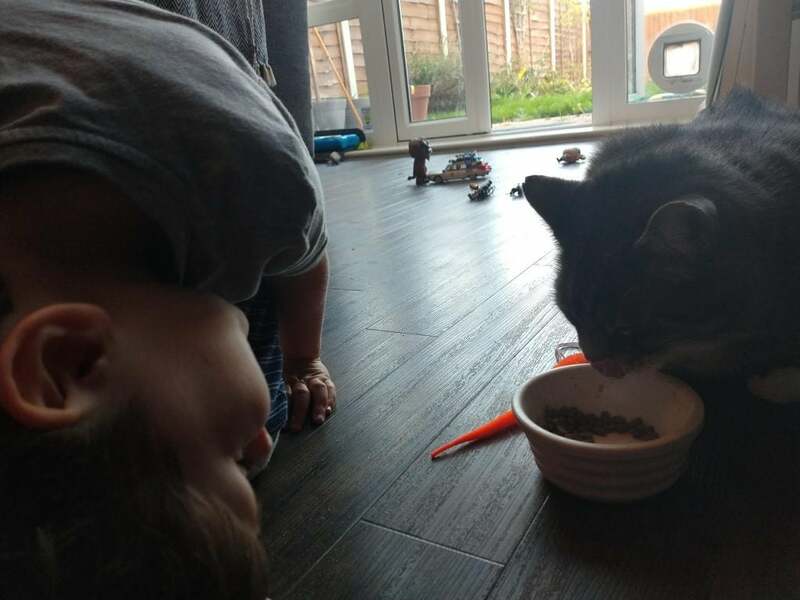 Not only can you make out individual hairs on his legs, but you can also clearly make out the number that he’s left on the rug (yes, I did vacuum afterwards). 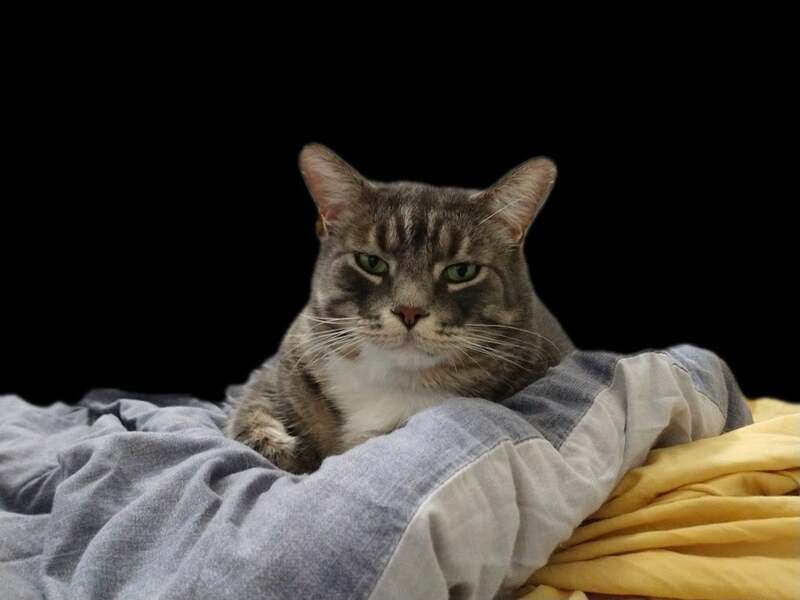 Unfortunately, the sensor struggles in low light, as is often the case in smartphone cameras. Detail becomes pretty weak, and when the flash decides to kick in, the results are usually an overbearing mess of red-eye. 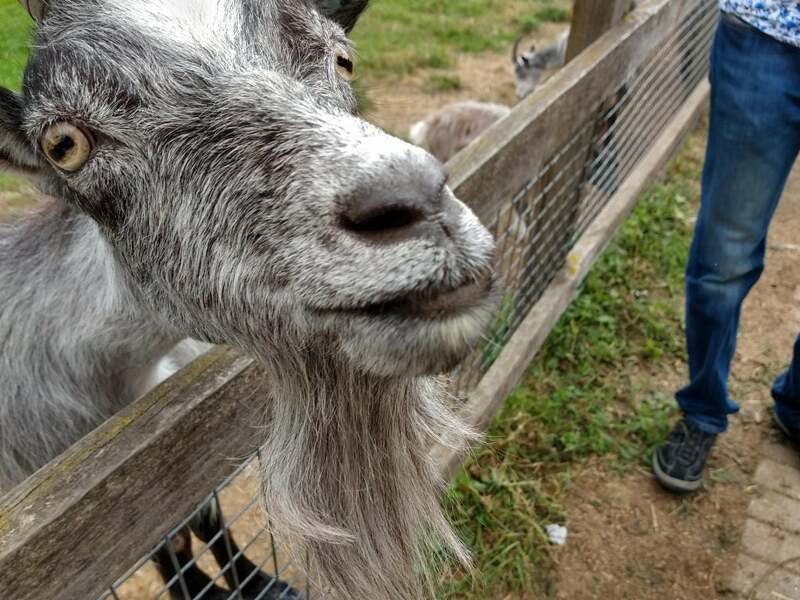 Still, as a camera that’s fun to play with there’s no doubt the Moto Z3 Play has a few tricks up its sleeve. Supporting the main 12-megapixel camera is a second, 5-megapixel lens that allows for arty bokeh shots where the background blurs, drawing focus to the main subject. It also allows for the wonderful party trick of automatically cutting out the subject of a scene to be put on a background of your choice. 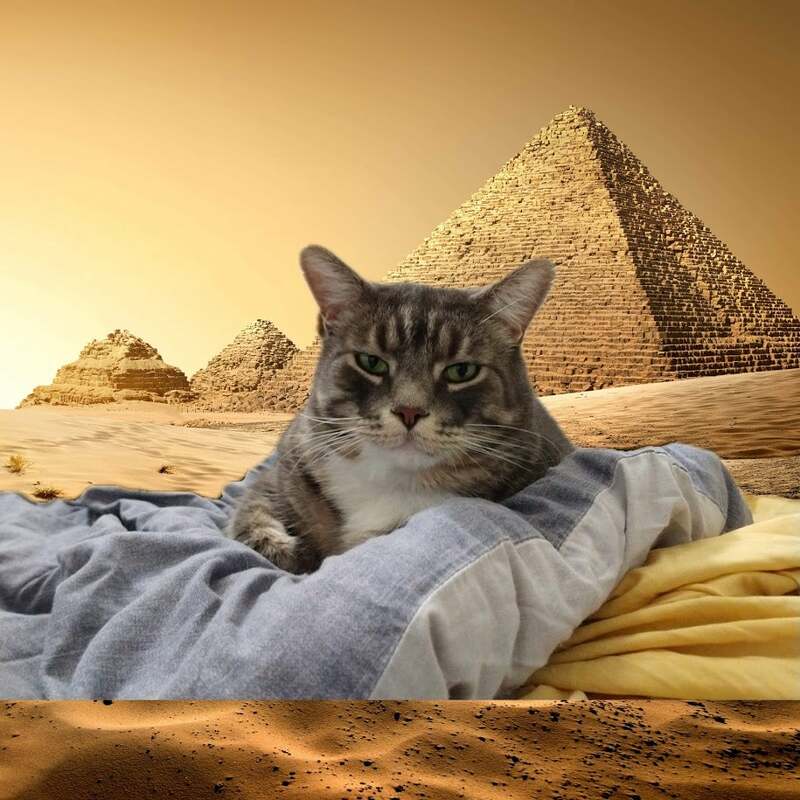 Witness how cat B – Humphries – goes from sitting on an unmade bed to riding a magic carpet with just a couple of screen taps. Silly? Yes. But definitely entertaining. Spot Colour is less successful. It’s supposed to isolate a single shade of your choice from a scene and turn the rest into an artistic greyscale. 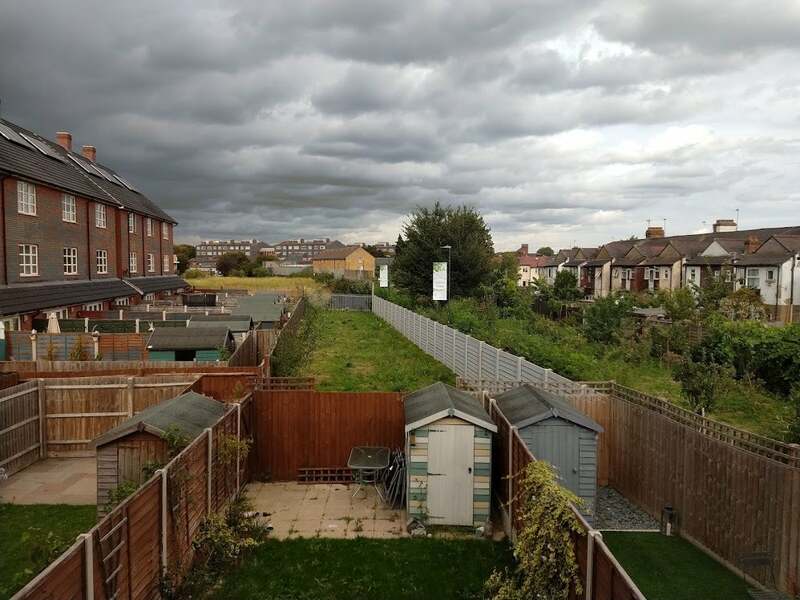 My test shots show that rather than highlighting my chosen colour – the green of the grass in the example above – it simply ended up making everything a bit more miserable. 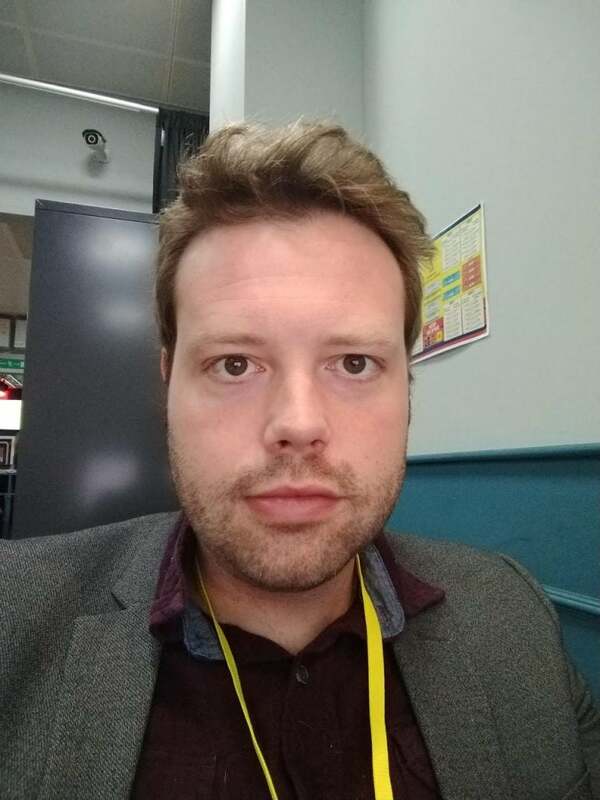 Selfies were pretty good all round: the front-facing camera takes in enough detail that you may want to add a more flattering Instagram filter, and the optional bokeh effect certainly looks the part when applied. The Moto Z3 Play comes with a 3000mAh unit but unlike the original Moto Z Play, battery life doesn’t feel particularly miraculous. You’ll comfortably get through a day – with a couple of close-calls if you’re a power user – but you’ll be plugging in the device at night. Thankfully, the bundled TurboPower charger (their name, not mine) powered up the device from 20% to 67% in only half an hour. In addition to that miraculous speed, Motorola has been kind enough to include a Moto Mod power pack in the box, which gives you an additional 2200mAh to play with. This doesn’t have a space for a power lead and instead charges when attached to the Moto Z3 Play, so it does involve a little forward planning. Nevertheless, it’s extremely helpful in a pinch, and far more convenient than carrying a portable charger with you. It does make your phone look a lot less attractive, though – you’ve been warned. Why buy the Moto Z3 Play? That question is actually surprisingly difficult to answer considering Motorola has rather unhelpfully failed to provide UK pricing details. At £350, this would be a bargain – at £500 less so. We have a US price of $500, which comes in at around £390, but more likely spells a handset of £450+/– and at that point, the Moto Z3 Play’s charms fade a little. This is a phone that matches the Asus ZenFone 5 in terms of specifications, and that device costs £350. Yes, you can’t add Moto Mods to Asus’ handset, but then these also add hundreds of pounds to the cost of the Moto Z3 Play. The Honor 10 is also worth a look, retailing for £400 but can usually be found for cheaper. More damningly, the Moto Z3 Play also faces the same elephant in the room that every smartphone above £400 faces in 2018: the OnePlus 6. At £469, it just makes mincemeat of everything in the same price bracket – and quite a few phones in the next one up. The new Pocophone F1 also throws a spanner in the works too. 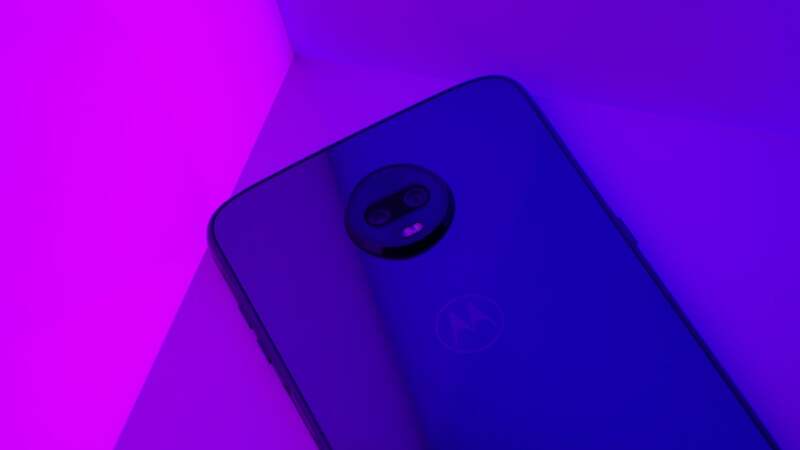 With that in mind, the answer of whether or not you should buy the Moto Z3 Play is “probably not” – unless you have a whole drawer full of Moto Mods from an older generation, in which case fill your boots. The post Moto Z3 Play appeared first on Trusted Reviews.